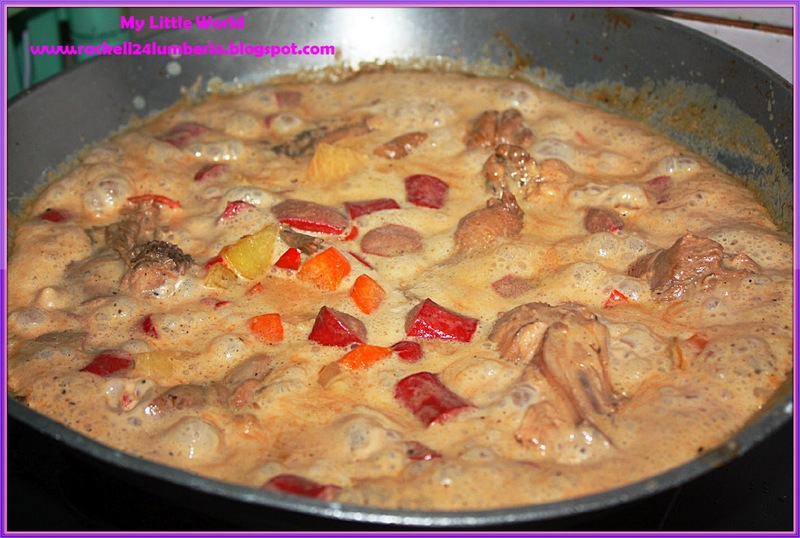 Aside from Sinigang na Hipon, one of my hubby’s favorite tasty dish is Pininyahang Manok. 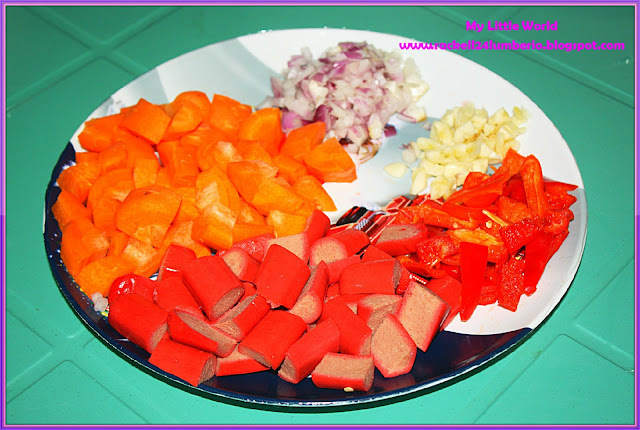 He requested me to cook this meal for our baon today. Hhhhmm.. mukhang napapadalas ang request ng asawa ko ha.. Haha.. This is the first time I prepared this meal, so I search, study and printed the procedures and here it goes. 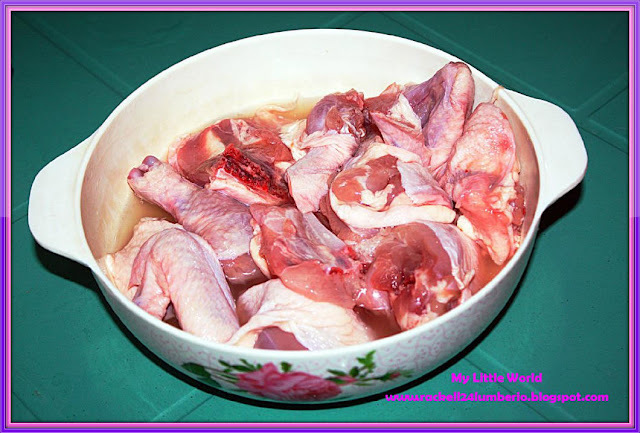 Sprinkle chicken meat with salt and pepper. 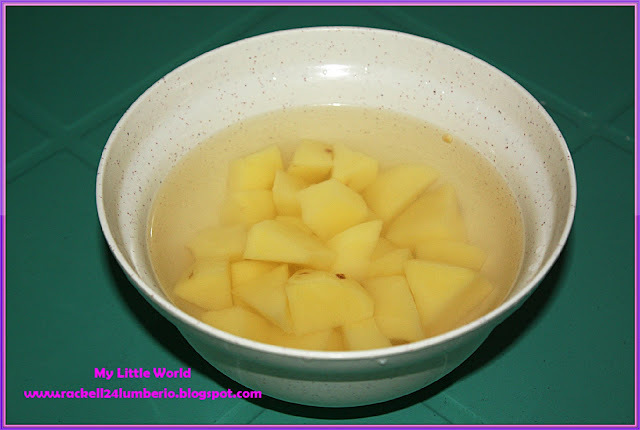 Marinate in pineapple juice for at least 30 minutes. Drain, set aside the marinade. 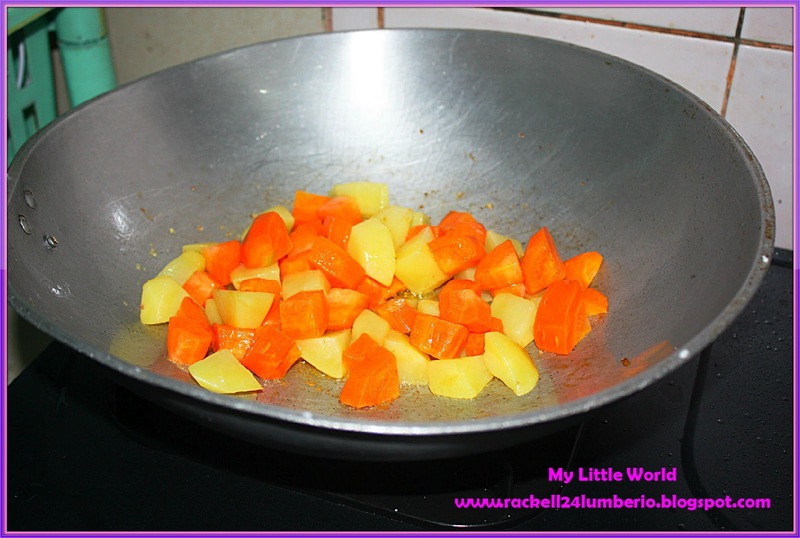 In a pan, heat cooking oil and fry carrots and potatoes until light brown. Drain and set aside. 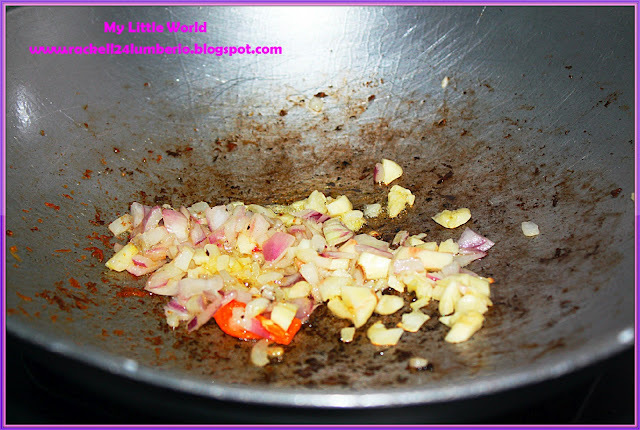 In the same pan, sauté onion, garlic until fragrant. 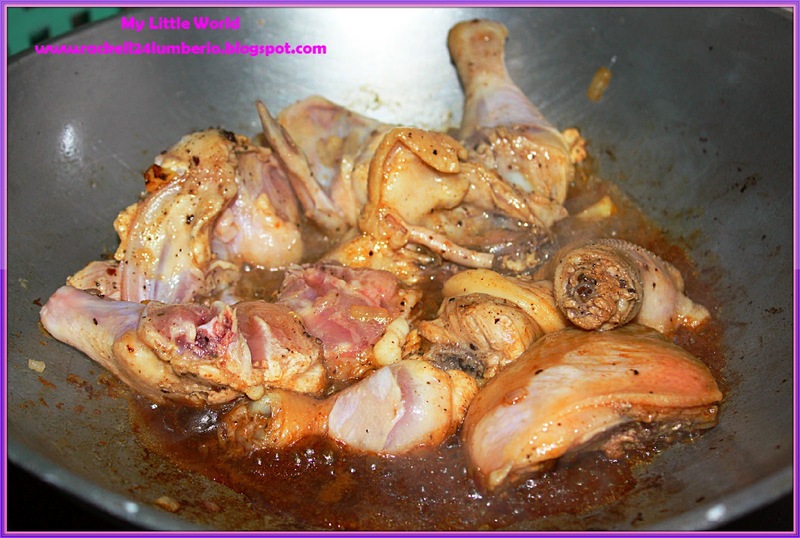 Add chicken meat, continue sautéing until the outer part turns golden brown. Add marinade and simmer for 15 minutes or until chicken is almost tender. 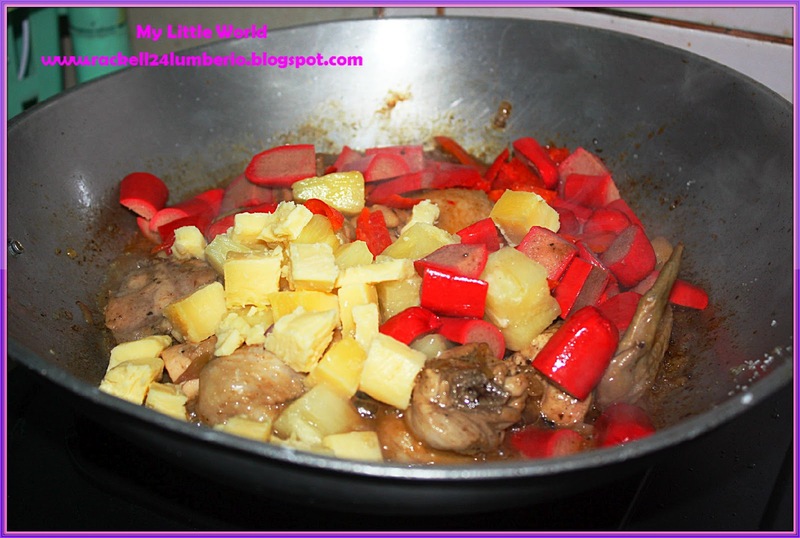 Add pineapple chunks, soy sauce, sugar, simmer for another 5 minutes. Add hotdogs cheese, carrots, potatoes and bell pepper, simmer until vegetables are tender. 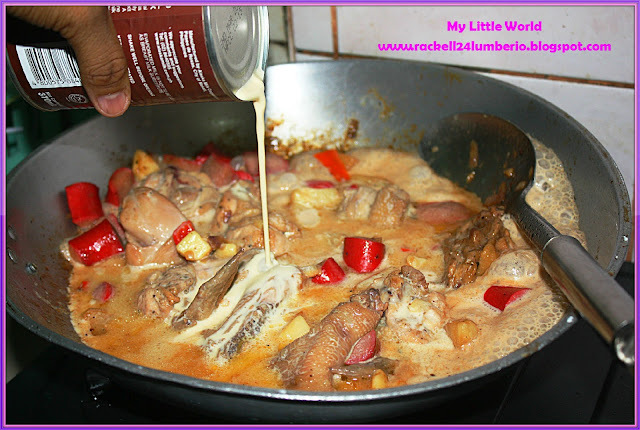 Add the evaporated milk, simmer uncovered for 10 minutes, while stirring. Add seasoning according to taste. 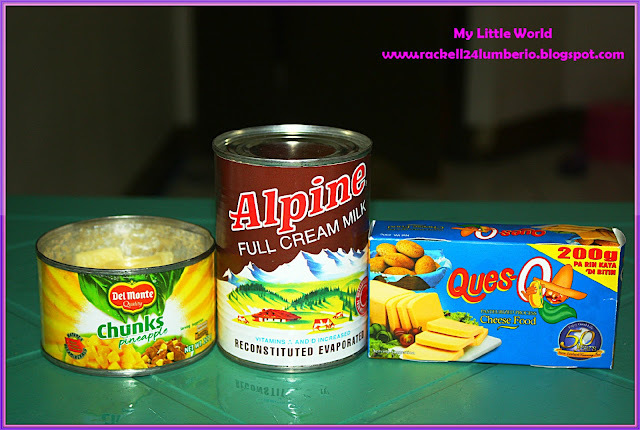 I really love the sweet taste combination of pineapple with cheese in this recipe. It adds a different flavor to the chicken. 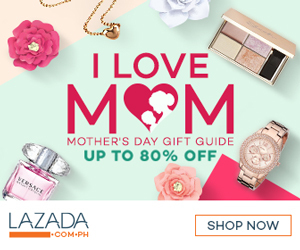 Well, according to him, masarap and malasa sya, tamang tama sa timpla.. Same feedback I received from my officemates. Haha. Gumagaling na ko sa pagluluto.. Haha. just curious, why add hotdog? is it for color/garnish? Hello Luna, thanks! My family always put hotdogs in Pininyahang Manok.. It's our all time favorite meal! Anyway, your dish looks so good! 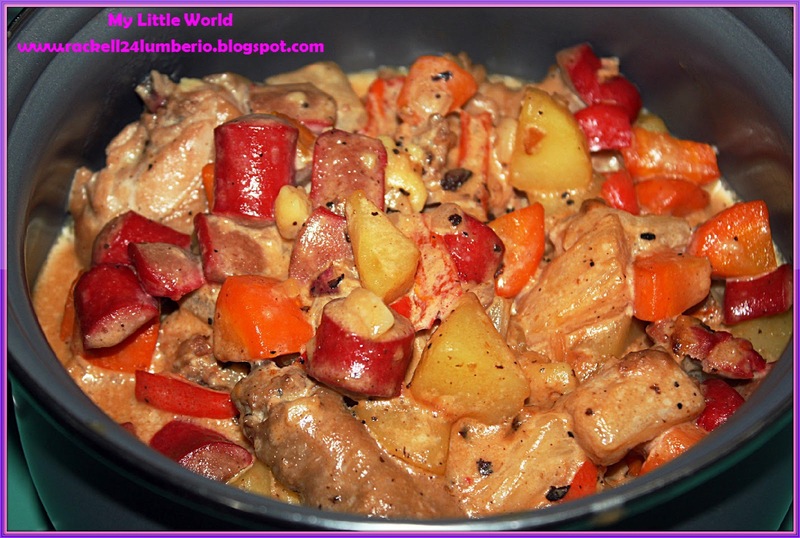 We seldom add pineapples on our dish as my family isn't much a fan of cooked pineapples, but if it's just me in the house, I'd gladly cook this for myself.